On 07/01/2018 at approximately 3:29 PM, the Putnam Fire Department responded to 105 Cady Rd., Putnam, CT for a structure fire. The structure was unoccupied with heavy fire located throughout. Deputy Putnam Fire Marshal Scott Belleville initiated an origin and cause investigation and subsequently the Connecticut State Police Fire and Explosion Investigation Unit (FEIU), Eastern District Major Crimes Troop D (EDMC-D) and National Insurance Crime Bureau (NICB) investigators were requested to investigate various components of the fire. 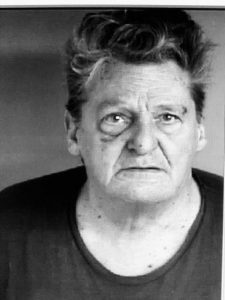 The homeowner, 63 year oldRobert Lemay initially stated that he was cooking hamburgers on a propane grill located on an outside deck attached to the house, when he chased after his dog that ran away. He stated that when he returned his house was on fire. The continuing investigation found unusual burn patterns and activity involving several involved parties to include a local contractor identified as 51 year old Armand Roger Boisvert. EDMC-D assumed the investigation. UPDATE: On 02/06/19 at 8:3 AM, Robert Lemay was taken into custody on the strength of arrest warrant granted out of Danielson Superior Court. Lemay was charged with Conspiracy to commit Arson 1st, Insurance Fraud, Interfering with an Officer, and Twenty Seven counts of Reckless Endangerment 1st. Lemay was detained on a court set $350,000. Lemay was scheduled for a same day arraignment at in Danielson. On 02/06/19 at 10:30 A.M, Armand Roger Boisvert was taken into custody on an arrest warrant granted out of Danielson Superior Court. Boisvert was charged with Arson 1st, Conspiracy to Commit Insurance Fraud, Witness Tampering, and Twenty Seven 27 counts of Reckless Endangerment 1st. Boisvert was detained on a court set $350,000 C/S bond. 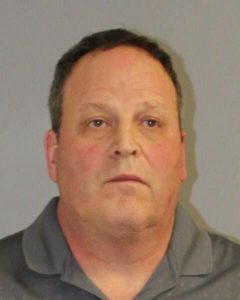 Boisvert was scheduled for a next day arraignment on 02/07/19 in Danielson.